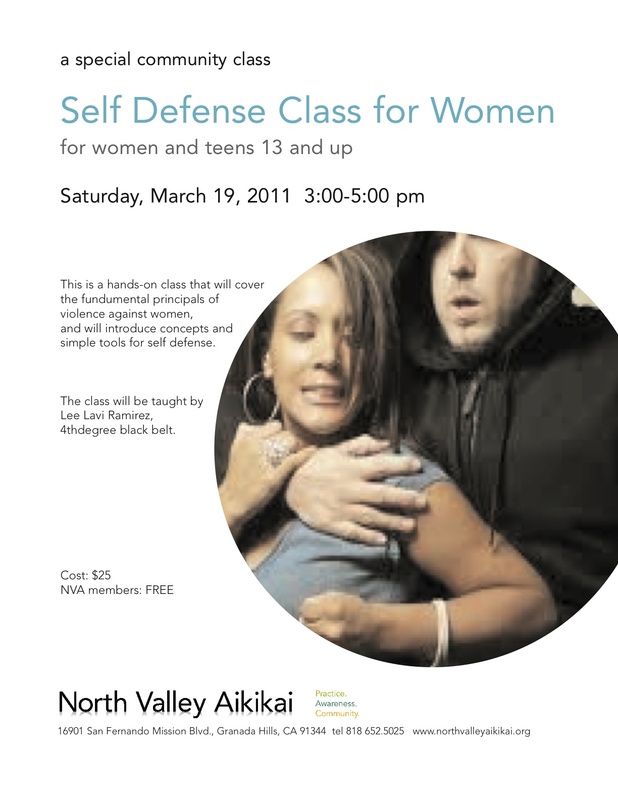 North Valley Aikikai is offering a self-defense class for women and teens ages 13 and up this Saturday, March 19 from 3-5pm. This hands-on class, taught by Lee Lavi Ramirez, 4th degree black belt, will cover fundamental concepts and simple tools for self defense. Fee for the class is $25. The class will include a broad look at violence against women, and will offer tools to increase awareness, safety and self confidence.